The ultimate guide to Jasper ski holidays in 2019 & 2020. Tucked away in the inner reaches of the Canadian Rockies, Jasper town and the Marmot Basin ski area take first prize in any natural beauty contest. Elk, deer, lynx, and even the odd wolf roam free in the 11,000 surrounding sq km of the National Park (bigger than Banff, Yoho and Kootenay, the other Rocky mountain parks combined), and can often be spied early in the morning and late at night taking tours of the town. Officially starting life as a railway outpost in 1907, Jasper town doesn’t seem to have changed all that much since. There’s an earthy, frontier feel about the place, with rustic inns and lodges of yore that fit naturally with scenery so stunning it’s been awarded UNESCO World Heritage status. The 60's saw the settlement joined with the Marmot Basin slopes (a 25 minute drive away) since which time both town and trails have grown exponentially. It’s true, you won’t find much ski-in/ski-out accommodation - but that’s a small price to pay for all that this remote part of the world has going for it. Miraculously, increased size hasn’t resulted in hugely increased traffic, meaning lift lines are all but non-existent and pistes peaceful enough for skiers and boarders to carve turns with wild abandon. It isn’t hard to see where they came up with the nickname “The Big Friendly” for little Jasper. In true Canadian style, everything’s so darned accommodating here. Like locals, who can’t be stopped from offering insider tips on an extensive range of après and must-try off slope activities (ever heard of Canyon Crawling?). Even the runs, welcoming to all, range evenly from easy to exhilarating. The 3 to 4 hour car or coach journey from Edmonton airport may be a little longer than you’d want to sit through for a weekend ski jaunt, but families shouldn’t be put off. It’s the extra drive that’s to thank for Jasper’s tranquility, and the snow train provides a wondrous alternative route on which you can gaze out of glass carriage ceilings at all the National Park’s natural splendor. For those wanting to experience a North American road trip, there’s the option of travelling from the Calgary airfield down the Icefields Parkway, unquestionably one of the most spectacular drives in the world. View our detailed Jasper snow forecast or snow report and see all live webcams, piste maps, road and travel maps and lift pass prices. For a picture of historic snow conditions see the snow depths month by month with our Jasper snow history. Dotted with mule deer and mountain goats, there’s a tastily wild, unchartered feel to the skiing in Marmot Basin, where four mountain faces of dry Canadian powder combine to a respectable 200km of pistes and 86 runs. Whatever your level, this area has it all: long, winding groomers, alpine bowls, steep chutes and picturesque glade runs, split evenly between greens, blues and blacks (note: our friends across the pond don’t do reds, just black diamonds and double diamonds). The names are pretty indicative of what you’ll find on Easy Street, Sleepy Hollow and Bunny Hop, just 3 of several confidence boosters. Almost every lift’s linked to a green rated glade run, so there’s plenty of scope for you to test your new parallel turns in several settings that coax you higher up the mountain. If you’ve long since learned to plough, cruises like Paradise and Knob Traverse higher up offer space in spades for you to hone your technique, while tree-lined runs like Tranquilizer and Upper Access on the opposite side of the mountain have you covered on flat light days. The upper regions are home to the steeper slopes, including some nerve-jangling narrow chutes like the Dupres or technical stretches like Milk Run. These won’t keep an expert busy for a week, but combine them with numerous back-country options and your schedule soon fills. An average 400cm of light, dry snowfall every season makes for excellent powder skiing through the trees just off the groomed runs and high up in the in the alpine bowls. The area under the Eagle Ridge chair has some of the best, while trips out on snowcats to untracked powder are usually covered on your lift pass. Heliskiing out to the Monashee and Caribou Mountains is also an option to add even more wow to your week. Boarders are usually bowled over by Marmot’s wide open expanses and a lift network where seven of the nine lines are a comfortable chair ride. The Eagle Express leads to the boxes, jumps, jibs and rails of the Rogers Terrain Park, while if you’re new to freestyle hit up the mini rail park at the bottom of the Eagle Ridge chairlift, to get the hang of jibbing, jumping and general showboating. On top of all this, Jasper’s the Cross Country capital of Canada, with 300km of local trails if you feel like trying out some Nordic. A good deal of your time will be spent stopping and staring at this area’s ridiculously dreamy views, which will have you hooked in minutes. Fortunately, many of the non-skiing highlights here involve striking out to find your next visual fix, like the Malign Canyon Ice Walk, taking you Canyon Crawling through deep natural limestone gorges, and past towering frozen waterfalls before venturing into glacial caves. Snowmobiling and husky sledding let you get stuck into all those trees, while excursions further afield to the Athabasca Glacier take you down the Icefields Parkway (one of the planet’s most spectacular roads, in case you missed it on the way in) and up to vistas that could make you forget your mother tongue. You don’t come to Jasper for all night raves, but those looking for a more European après experience won’t come up empty handed. Marmot’s Caribou Lounge gets the après flowing at the end of the skiing day, before you’re brought back to town. Most of the drinking spots here, like the Jasper Brewing Co., are slow burners, where you settle down in front of an open fire, order some pub grub in front of a big screen TV and sip your way through a menu of craft beers. Slightly more spirited, the Downstream Lounge’s an underground bar where wine and dinner turn to whisky and dancing. Things heat up most in the Athabasca Hotel, home to the one and only Ath-B nightclub, where live local talent would get even the biggest dance-phobe up on their feet. Once you’re fed and watered, the town’s aquatic centre, with pools, saunas, steam rooms and water slides is the answer to all your aches after a day on the slopes, and right next door the Jasper Activity Centre contains indoor tennis courts and an indoor ice skating rink for more family or group fun. It's worth going beyond Jasper, towards the Icefields Parkway and into Lake Louise to view some of the most spectacular scenery in the world. The Parkway winds past sparkling mountain lakes and alpine forests to give way to massive icefields, the largest of which is the Columbia Icefield covering 325 square kilometres. At the Athabasca Glacier, within the Columbia Icefields, you can get on a specially designed bus, a Snocoach, drive up the glacier and stand on a thousands of years old tongue of ice. The more adventurous can ice-skate on frozen lakes or try some extreme ice climbing. For a more relaxed pace, snowshoeing is a natural choice here, Pyramid Lake, Maligne Lake and Jasper Park Lodge golf course are just a few of the best places to go. Its worth visiting the Jasper Yellowhead Museum to explore the area's history and find out more about David Thompson, the explorer who mapped out Canada's fur trade route. When is the best time to ski Jasper? Marmot Basin has made a name for having some of Canada’s driest, fluffiest powder (an average snowfall of four metres) – helped by its lofty 1698m seat (at base elevation - Canadian resorts don’t need to be as high as French ones to be white) and northerly latitude (it’s the highest and furthest North in the country). Lifts traditionally open in November and drop the curtain in May, so if you’re here for a first-out-the gates ski session or last-on-the-piste April jaunt, you’re unlikely to be disappointed when it comes to the white stuff. There’s also a good balance between tree-lined runs and open alpine bowls - to navigate as and when the powder’s coming down. Winter is actually the low season here, most choosing to check out the terrain when it’s green and warm, making this a real escape amongst the trees during the ski season. In the mid-week, you probably won’t hear a peep on most of the slopes. You’ll especially appreciate this at half term if you’re used to bottlenecks and high prices. As the weather warms in Easter, so does Jasper’s social scene, with a festival and children’s activities to add interest. 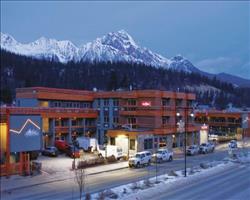 The chilled out atmosphere and authentic, faraway feel of Jasper and Marmot Basin make this area terrific for families. In terms of ski school, 4-5 year olds can have lessons with Marmot Mites, while the Marmot Kids Camp does half and full day lessons for ages 6-12. If you're travelling with nippers who are too small for ski school, or need a mix of day care and lessons, the Little Rascals Nursery looks after infants from 19 months to 6 years. The brilliant thing about this ski area is that the terrain is almost equally divided between different abilities. Beginners and intermediates can glide down groomers, confident snow lovers can hit Rogers Terrain Park (accessed via the Eagle Express chair), while experts conquer the area's incredible deeps, steeps, bumps, chutes and bowls. Look out for the ‘Family Card' which in past seasons has given 20% off tickets, with a free day of skiing thrown in. There are usually family-friendly events organised over school holidays, like skiing with Santa at Christmas and Egg hunts at Easter. Geocaching is a big thing here and makes a day on the mountains even more of an adventure, while extra activities include dog-sled tours, ice skating on 3 frozen lakes and swimming and climbing at the Jasper Aquatic and Fitness Centre. The combination of town life in Jasper and mountain activity up in the Marmot Basin (with a shuttle running between the two) works wonderfully for groups. Snow lovers can spend all day exploring the 1675 acres of terrain, which has everything from lovely long groomers to bumps, bowls and chutes, all covered in the Rockies' famously light powder. There are some terrific mountain meeting points - Scooters is great for coffee and snacks while Caribou Chalet's Kokanee Glacier Deck is a favourite for après ski. 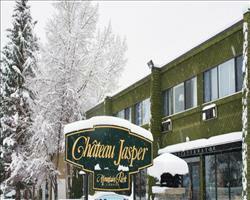 Others can while away the hours downtown in Jasper's restaurants, cafes, spas and galleries. The Aquatic and Fitness Centre has a pool, wellness facilities and climbing wall and Jasper Brewing Company do some great tours. Ice skating always makes a fun group activity, and you can choose between the frozen Pyramid, Beauvert and Mildred lakes. To really appreciate the National Park's splendour, see if they're still doing ice walking trips at the Maligne Canyon.